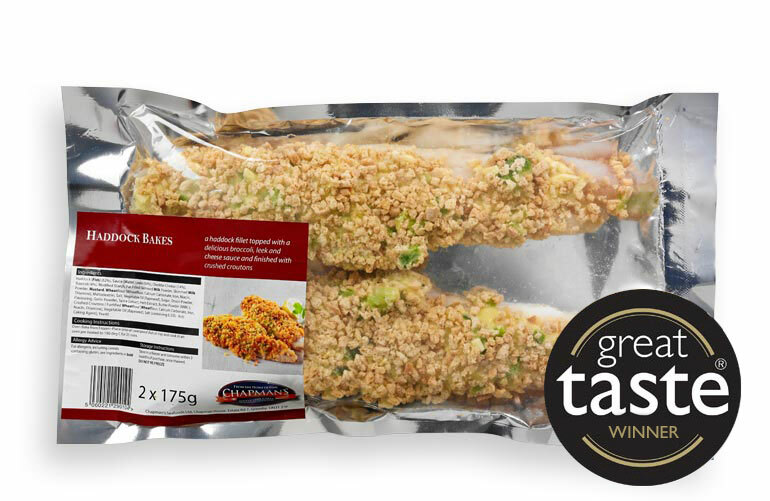 We are delighted to announce that we have been successful in winning Gold Great Taste Awards. Organised by the Guild Of Fine Food, the benchmark for fine food and drink, we are delighted to obtain these prestigious awards and we feel privileged to have been chosen again in 2017. Great Taste is widely acknowledged as the most respected food accreditation scheme for artisan and speciality food producers. Our winners were announced at the Great Taste Awards ceremony. 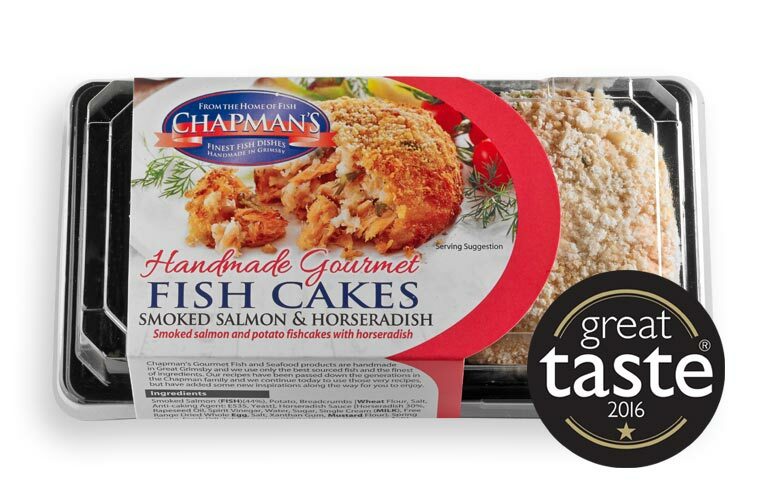 We were awarded Gold Stars for our Chapman’s Thai Style Salmon Fish Cakes, Smoked Salmon & Horseradish Fish Cakes and our East Coast Crab Cakes. 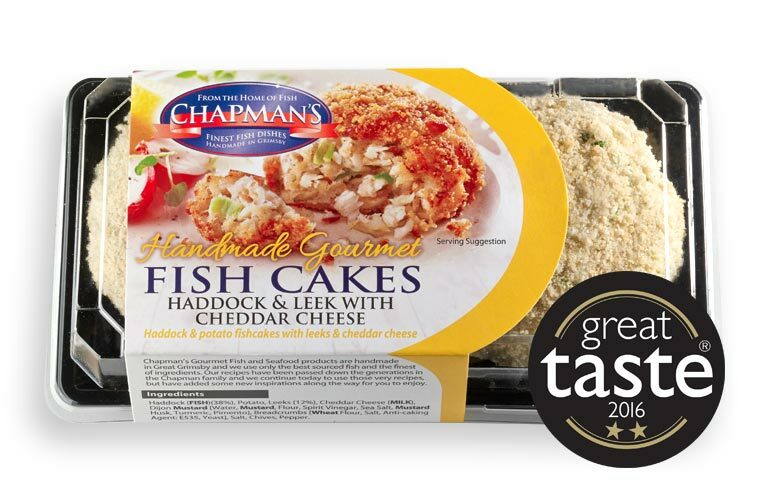 Our Chapman’s Haddock & Leek With Cheddar Cheese Fish Cakes emerged with a 2 Star Award. 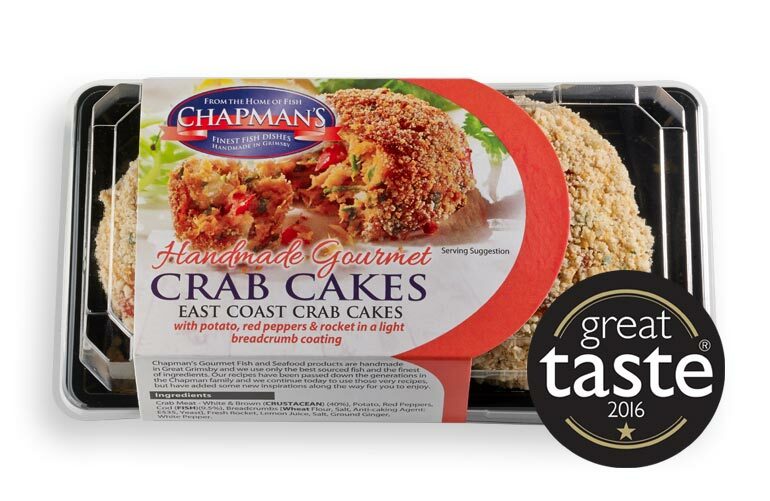 Given that there were more than 10,000 products entered, we feel honoured to be able to put the Great Taste seal of approval on our handmade Fish Cake products. This is the Fish Cake that started it all off. The fishcake that Kevin's mum, Mavis used to make from the fish that husband Terry would fetch home from work. Every Grimsby housewife had her own recipe for fish cakes, and Mavis had her's which included a secret "little twist" which gives the them that extra dimension. A true taste sensation be enjoyed at any time. Haddock, Potato Fish Cakes with Leeks & Cheddar Cheese. 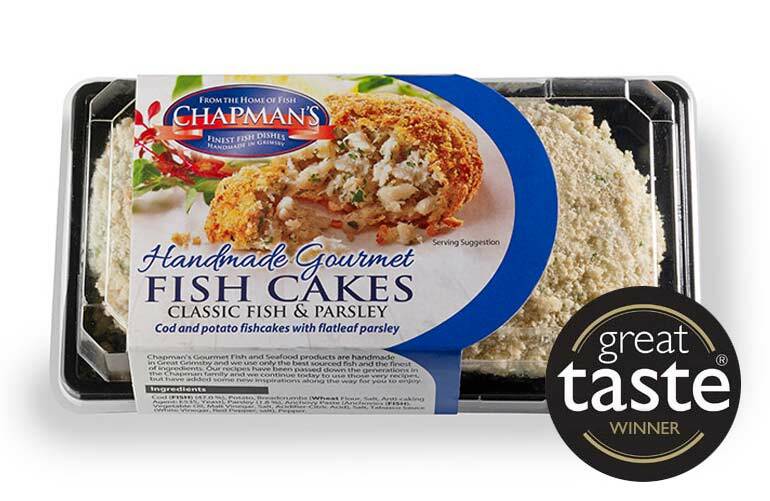 A delicous twist to this Fish Cake which will make your mouth water. 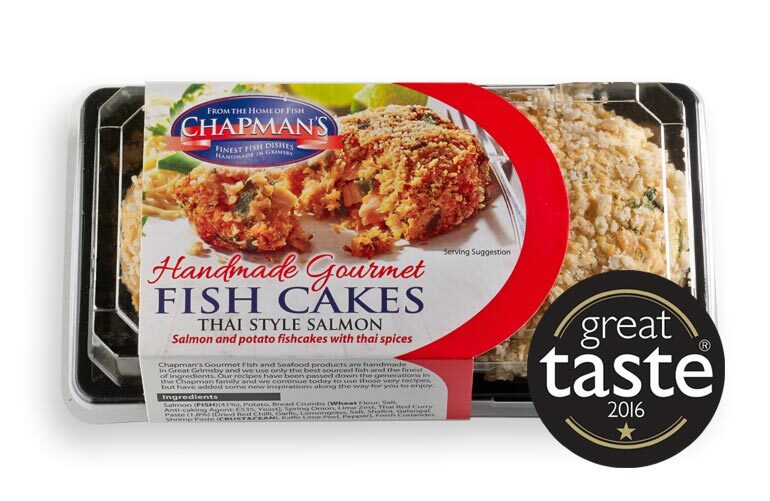 Delicate Thai spices added to prime Salmon creates the perfect flavour combination.